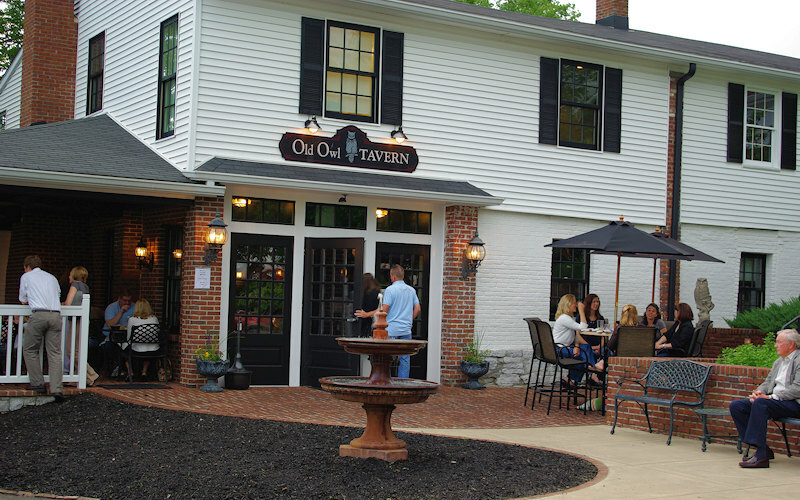 The Old Owl Tavern has become Harrodsburg’s favorite “bar and grill” restaurant, serving fine wines, spirits & draft beer. Join us for lunch Wednesday through Saturday from 11:30 a.m. to 1:30 p.m. and for dinner Monday-Thursday 4:30-9 p.m., Friday 4:30-10 p.m., and Saturday we are open from 11:30 a.m.-10:00 p.m. Don’t forget the Tavern and Nest do not take reservations. Our kitchen closes at 9 p.m.
Did you know that we have 70+ different bourbons for you to choose from? Take-out available… call 859-734-0559. We are an official sponsor of the Kentucky Bourbon Trail®. Since we are located in the middle of bourbon country, stop by the Old Owl TAVERN after a day of touring the distilleries. Or arrange a grand tour of bourbons without moving from your seat with our Innkeeper’s Bourbon Tasting with Dixon. Also visit our Owl Nest Pub. Did you know that one of the very BEST Bourbon collections in all of Kentucky is right here at The Old Owl Tavern? In fact The Old Owl Tavern was just named one of the best bourbon bars by the Bourbon Review. If you’re into Bourbon, you need to get in to The Tavern! Order a bourbon flight with tasting notes. Before or after dinner, drop by the Owl’s Nest upstairs. Receive $5.00 OFF your next purchase when you join Wise Owl Rewards. Click Here to enroll! It’s our way of saying THANK YOU…and it’s very simple. Just enroll and remember to mention your phone number every time you place an order. You’ll be amazed at how fast you can earn rewards! Already a member? Check Your Point Balance. Get updates and menu specials! The Old Owl TAVERN is named for the Dedman family’s Kentucky Owl Bourbon Whiskey distilled along the Kentucky River prior to Prohibition. This southern wing, ground floor area originally provided housing for the horse carriages transporting the young ladies to this prestigious girls’ school. 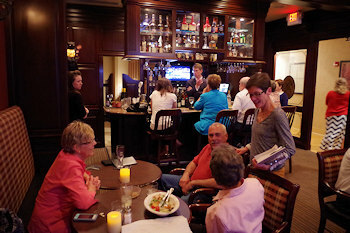 Dirt floors and “Kentucky marble” stone walls have been transformed into a popular casual bar and restaurant complete with porch dining cooled by ceiling fans and century old shade trees. The original hand-hewn beams, fireplace mantel, hand-cut stone walls and splendid old photographs depicting many of Mercer County’s pre-Prohibition distilleries provide a glimpse back into Harrodsburg’s colorful past. 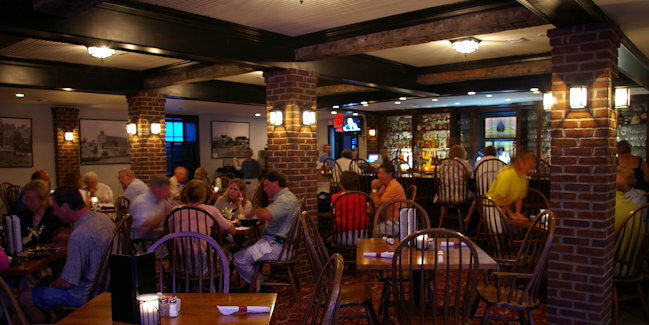 The TAVERN boasts casual fare, great wine and spirits available from the Kentucky-crafted twenty-three foot mahogany bar. It merrily beckons the weary traveler, as did the early Harrodsburg taverns of the 18th and 19th century. Read about our Kentucky Country Ham! Find out how to make the perfect Mint Julep. And see other recipes.